JEEVAK RASHTRIYA VIDHYAPEETH is located in MODINAGAR Uttar Pradesh . JEEVAK RASHTRIYA VIDHYAPEETH is registered as a Trust at MODINAGAR of state Uttar Pradesh with Ngo unique registration ID 'UP/2011/0046760' . 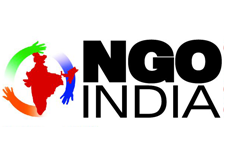 The NGO registration is done by Sub-Registrar with registration number 163 on the date of 30-09-2011, Its parent ORganaisation is A Compleate Social Organation. The Chairman of JEEVAK RASHTRIYA VIDHYAPEETH is DR MAHESH CHANDRAVANSHI and Chief functionary officer is DR MAHESH CHANDRAVANSHI. Promoters are DR B D KAUSHIK, PRAKASH CHANDRA, DIGVIJAY SINGH,ANAND SINGH. JEEVAK RASHTRIYA VIDHYAPEETH E-13, SANT PURA, BISHOKHAR ROAD, BEHIND MODI PARK, GOVINDPURI, MODINAGAR - 201201.